318 pages | 350 B/W Illus. Each chapter includes key takeaways, review questions, and on-set exercises, and a comprehensive glossary defines all the key production terms discussed. An accompanying eResource includes downloadable versions of the forms and paperwork used in the book, in addition to links to further online resources. 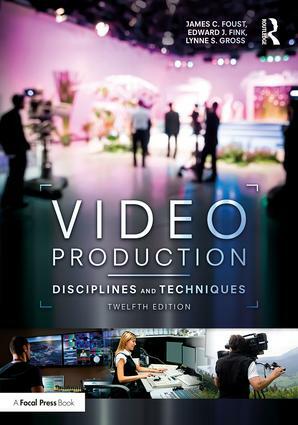 "Fink, Foust, and Gross’ Video Production continues to set the standard for production textbooks. The writing style makes complex, technical information easy to understand and apply, and the revisions in the text keep it current with the field. With its balanced coverage of studio, field, and remote production tools and techniques, it provides a solid foundation for production education."